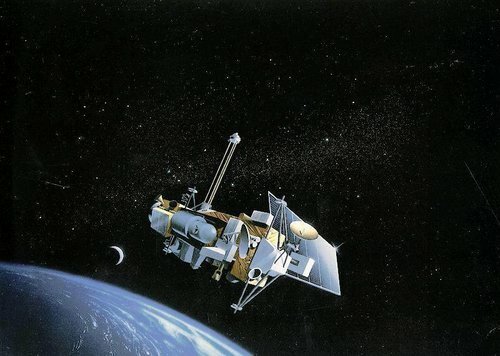 According to National Aeronautics and Space Administration (NASA) a defunct 7-ton satellite is due to re-enter atmosphere; with potential to rain debris upon the Earth. According to the UARS; Upper Atmosphere Research Satellite it is expected to come down in late September or in the early October. NASA said that during re-entry of spacecraft it will break into pieces and not all of it will burn up in atmosphere. The agency also said that it is very early to say the exactly when the UARS will make it's final plunge and where exactly any debris will come down. According to news reports suggested that the Moscow was "In the zone of risk," this projections is based on merely on inclination of orbit of UARS. The spokeswoman of NASA Beth Dickey told that the orbital track & re-entry location are going to be more refined as day passes. In the year 1991 the UARS was arranged from the shuttle Discovery for studying the atmosphere of Earth and the interactions with the sun. 750 million dollar mission measured the concentrations & the distribution of the gases essential to ozone depletion, climate changes & other types of atmospheric phenomena. NASA also said that from reading and information provided from UARS it is found that chlorine in atmosphere which is produced by human and also chlorofluorocarbons which is main root of polar ozone hole. According to Dickey, Satellite was shut down in the year 2005. They had put it in disposal orbit at that point & disposal orbit decreases orbital lifetime by nearly about 20 years. NASA also said that they plans to post the updates about the UARS status weekly until the four days before anticipated re-entry & daily untill 24 hours before the re-entry. They also said that the UARS update will come at 12 hours, 4 hours and 2 hours before the re-entry of UARS. NASA also said that the Joint Space Operations Center of the U.S. Strategic Command at the California's Vandenberg Air Force Base is monitoring the UARS status around the clock. If we see the current position of satellite than it is 155 by 174 miles i.e 250 by 280 km with the inclination of 57 degree which means satellite would have to descend into atmosphere somewhere between 57 degree North Latitude & 57 degree south. The NASA also have estimated that debris footprint would stretch about 500 miles. For the public awareness NASA said that if there is something that you think that may be a piece of UARS than do not touch it and contact the Local law enforcement official for the assistance. The advisory of NASA emphasizes that the risk to the public safety or property is very small. It also said that since the starting of Space Age in late 1950s, there have been no confirmed report of an injury resulting from re- entering the space object and nor there is record of important property damages resulting from the satellite re-entry.